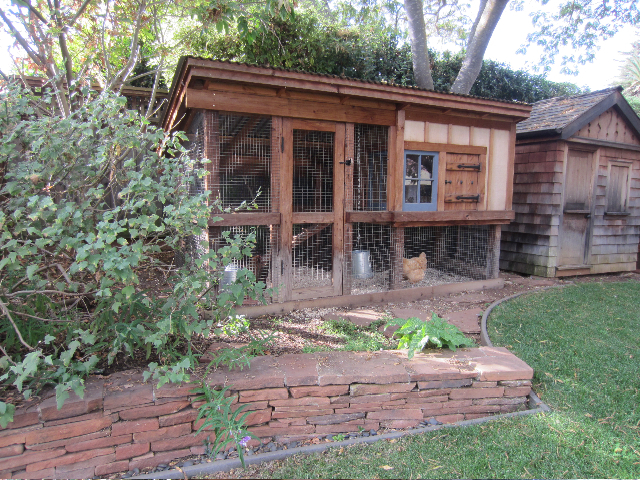 A redwood coop with corrugated sheet metal roofing and salvaged iron hardware. The coop and it’s three resident hens share the yard with a bunny hutch and three resident bunnies! Cookies served while they last!